What’s your weekend looking like? I have one class to teach on Sunday and besides that it’s going to involve a lot of resting. Yes, I know I just rested for five days, but it’s not the same as resting in your own house. I want to tidy up and unpack some things I have lying around (I’m looking at you, NOW goodies), so this weekend will be a perfect time to do that. To get this weekend started, let’s take a look at what topped my list for Five Things Friday. I had seen these in the store, but hadn’t actually tried them before. I was sent a sample of three of their flavors and OMG I want to eat them all the time. No BS. A lot of times the bars I eat are either meal bars when I’m running out the door super early or protein bars after a workout. I don’t have a lot of simple, no-frills, healthy snack bars at my disposal, so I’m so glad that I tried these. The best part is that for each bar bought, the company donates a meal to a child in need. Love. So really, a win win for everyone (especially my tastebuds). You can read more about the company and their mission here. I know I already ranted about how delicious the ceviche was in Mexico, but I figured it was only appropriate to include as one of my favorite things since I ate it 4 times in 2 days. Can someone please give me a delicious recipe for it?? I had the opportunity to attend a rooftop workout earlier this week co-hosted by A Sweat Life and LUNA to promote their new flavor, Berry Greek Yogurt. I’m usually a chocolate/PB type of girl when it comes to bars, but this one is actually really good. Which reminds me I need to pick up some more of that chocolate chip cookie dough flavor. TECHmunch conferences have been around since 2010 and are typically day-long events held in multiple cities across the country. 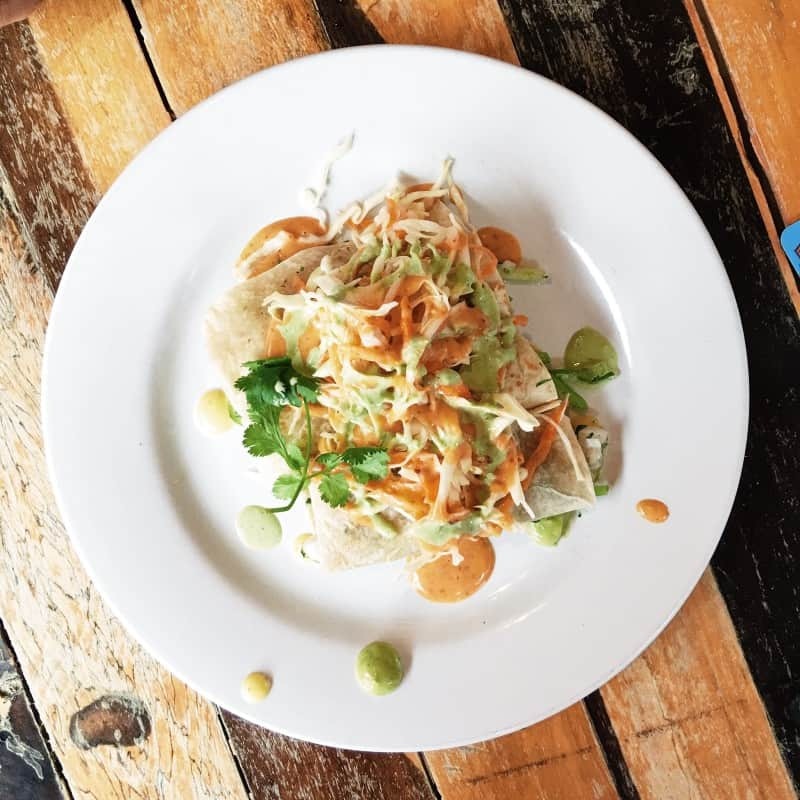 They are for anyone serious about food and for PR and marketing agencies interested in working with said content creators. 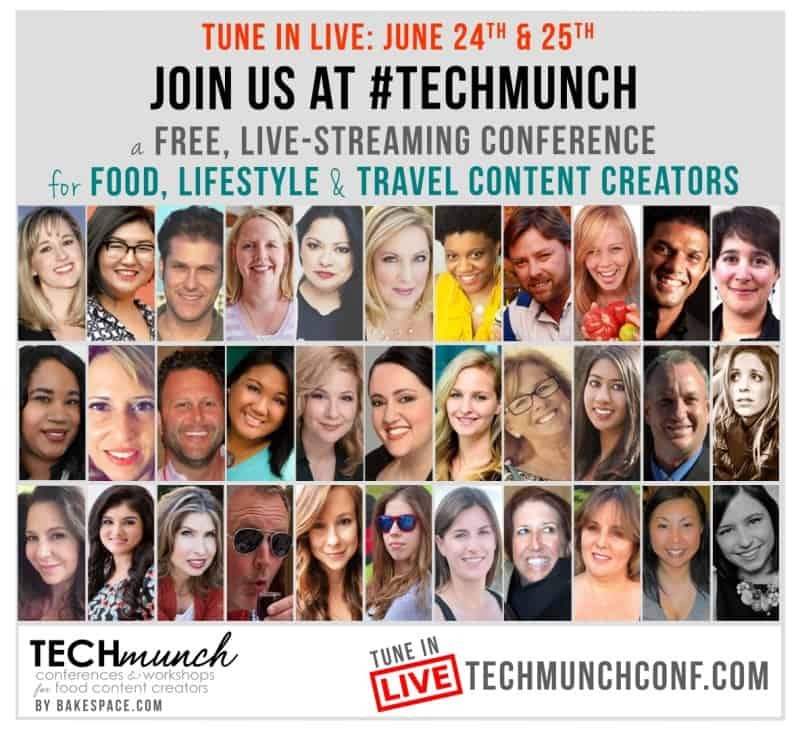 TECHmunch Live is a TWO day, FREE live-streaming conference that you can tune into from anywhere. I’m honored to be speaking on a panel entitled “Beyond the Blog: Diversifying Skills to Build Your Brand and Your Business” with a couple other wonderful Chicago influencers. If you’re interested, you can read more about the inaugural event here and also sign up to attend! My panel will go live today at 1 pm (PST), so 3 pm here in the Midwest. Ok, so for some not-so-good news, I seem to have injured my back almost immediately upon my return from vacation. I tweaked it during a workout about 2 weeks ago and then made a point not to exercise at all and rest it during the 5 days of my vacation. My first workout back, I did one kettlebell swing and that’s all she wrote. My back felt like someone had stabbed me, I had to stop the workout, and I even stopped at urgent care on the way home, which, if you know me, means there’s probably something wrong. The first day I was having trouble even walking without it spasming and I would have to take a huge breath to fill my lungs and brace my core before moving at all. It’s slowly getting better, but I’m not allowed to work out and the Ibuprofen I was prescribed isn’t really doing anything (which is what happens when you pump your body full of opiates for years). I did make sure to tell her I’M IN RECOVERY DON’T GIVE ME ANY NARCOTICS, but man is this situation annoying. You never really realize how much you use your back until you can’t use it correctly anymore. What has been helping in the meantime are these heat patches I picked up. I used to get the Thermacare ones years ago when I had more back issues, and I wish I had stuck with the brand name this time as well. These are fine, but they don’t seem to get hot enough for me. That could also be because I’m used to scalding hot showers. Anyway, point of the story = back messed up bad, heat good. One more addition I have for this week is to share an upcoming event focused on raising awareness about women’s health and fertility. You know I love my raising awareness campaigns, especially ones that aren’t easy to talk about, so for all my local Chicago readers, here are some details for the event on July 13th. Sadly, I’ll be out of town, but it looks like there’s lots of food, drinks, and SWAAAAAG. Fertility Fest is a girls night out with a purpose! Fertility Fest is a night of pampering, shopping, and honest conversation about fertility and women’s health. 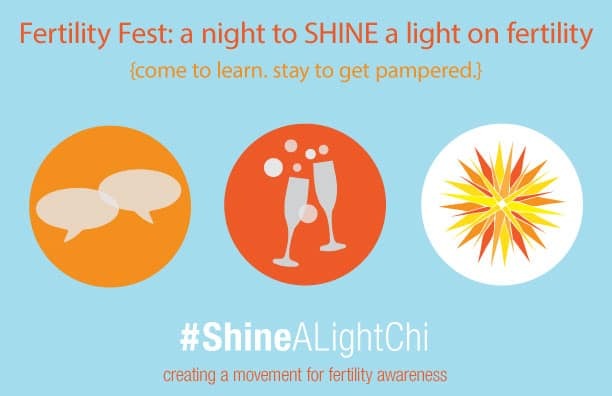 Fertility Fest will take place Wednesday, July 13, 6-9pm at Greenhouse Loft in Logan Square. Come grab a cocktail, relax, and mingle with friends and Chicago’s best women’s health professionals who are on hand to chat and answer any questions. Tickets include premium beverages (One Hope Wines, Lagunitas Beer, & Social Enjoyments cocktails) and delicious food from Food For Thought. Guests will also enjoy complimentary pampering services including massage, skincare, manicures, hair styling & make-up, as well as local designers displaying clothing and jewelry! There will be swag bags for all attendees (value over $150). And several raffle options from spa wellness package, fitness & nutrition, and day out on the town! That’s all I’ve got for this week. Enjoy your weekend and I’ll see you on Monday!! What’s one of your favorite things from this week? Also, you know how I feel about ceviche. 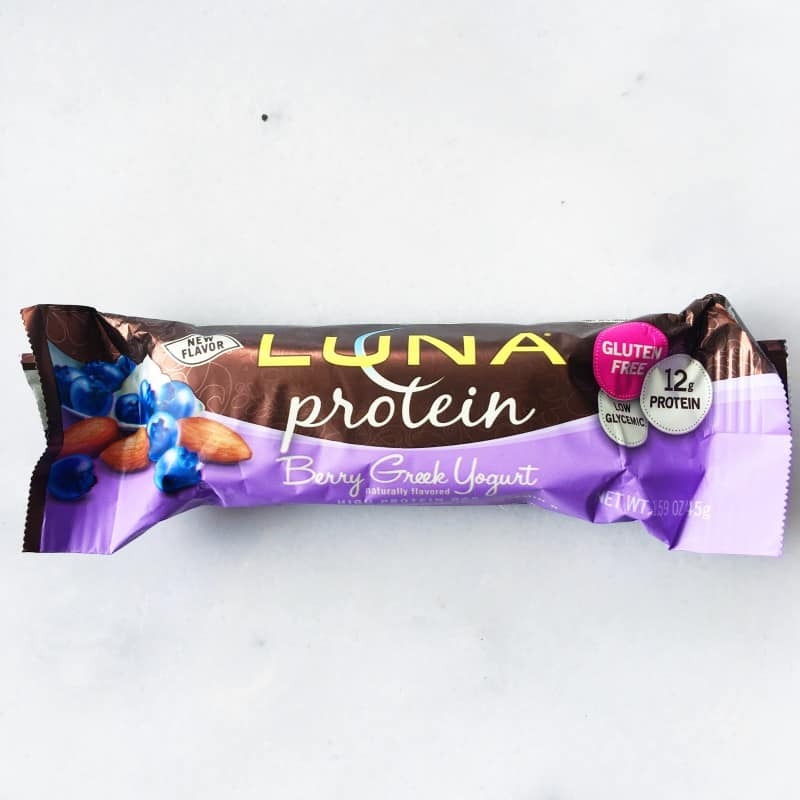 And those Luna bars. They are both in my forever favorites category! Awwww sweet. You’ll have to fill me in on how it’s going when I see you next. That is so cool your speaking in the panel! That is not so cool about your back. Feel better! Ive never seen those bars–they look good! I’m definitely a peanut butter chocolate bar gal too. This weekend I’m hanging out with two friends who i havent seen in a few months–so excited! I am glad you can get some rest this weekend Erin! I have seen that bar around Instagram. I want to give it a try! Hoping your back feels better asap too. 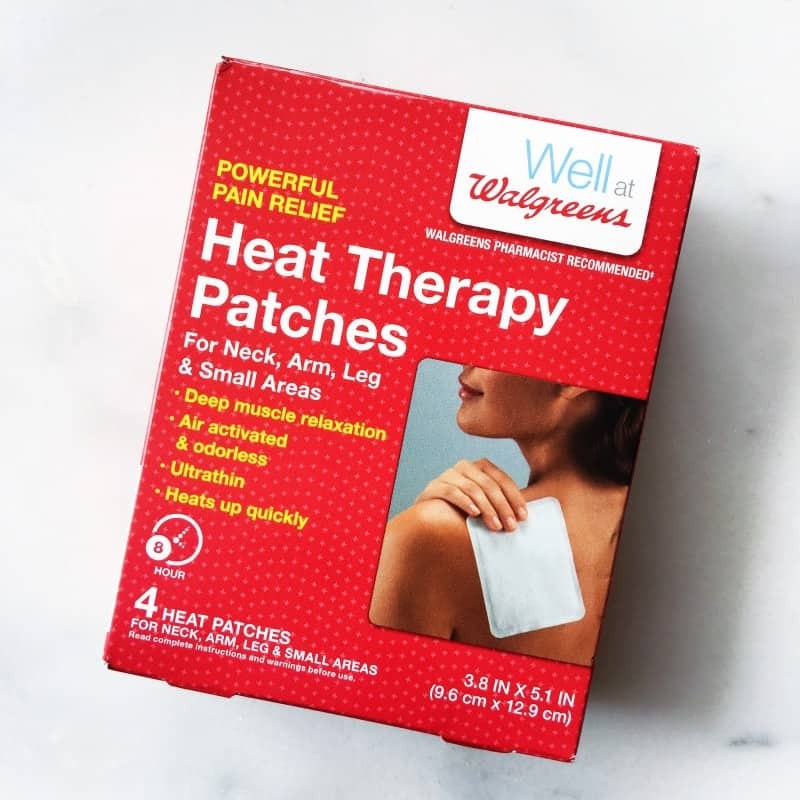 Those heat patches do work well though- I used those and icy hot during my gymnast days and they were a life saver! Happy Friday! Oh man I miss gymnastics! I went to an adult class a few months ago and my wrist is still feeling it after too many back handsprings. I’m falling apart! So cool that you’re doing the panel for the conference. The bars look like a snack I would love. Are they gluten free? I’m sorry to hear about your back. Feel better soon. They are! And also delicious haha. Check target for them! I’ve seen the bars at Starbucks, I’ll have to grab one next time. Do it! The PBJ and the chocolate cherry one were my faves! Bahaha. I bet it tastes just as delicious. Oh no! Hope your back feels better soon, Erin. Enjoy your relaxing weekend! And P.S. I’m a big ceviche fan too! I want to eat it every day! Heat patches and Salonpas (alternated, usually) make my back and neck pain so much more tolerable. Admittedly, Salonpas smell strongly enough of something like menthol to totally clear your sinuses, but that doesn’t have to be a bad thing 🙂 I hope your back starts feeling better and you have a good weekend, Erin! 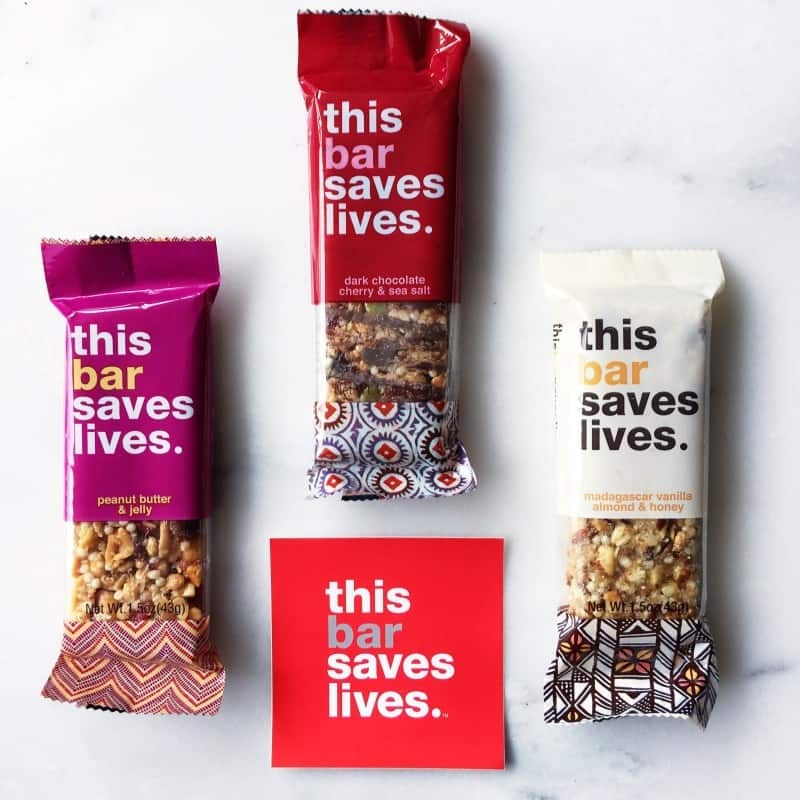 first off, that cookie dough bar is THE BOMB, but those bars that “save lives” look yummy too! That conference sounds so fun though!! and right of my alley! I may have to check it out, but congrats on speaking at it!! Sarah Grace Spann recently posted…Dietetic Internship Rotation #1: Diabetes Sports Camp + Tips! Thanks! It wrapped up yesterday but I believe that the sessions will be uploaded to YouTube to watch later!